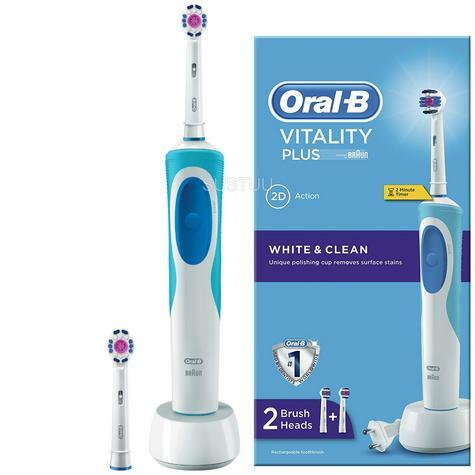 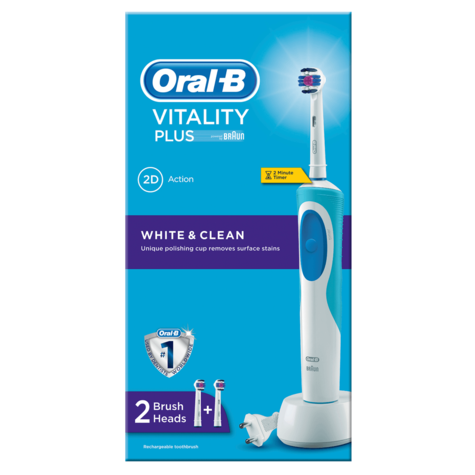 The Oral-B Vitality Plus electric toothbrush provides a clinically proven superior clean vs. a regular manual toothbrush. Inspired by professional dental tools, the 3DWhite toothbrush head is designed to clean tooth-by-tooth. 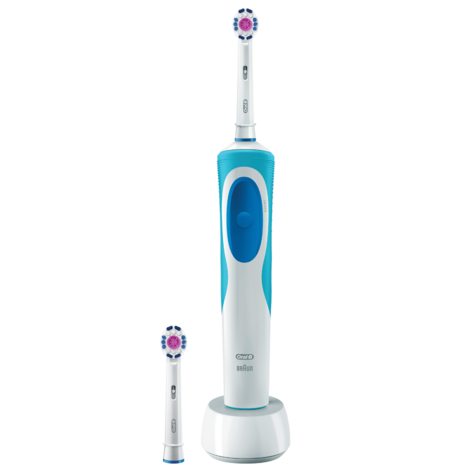 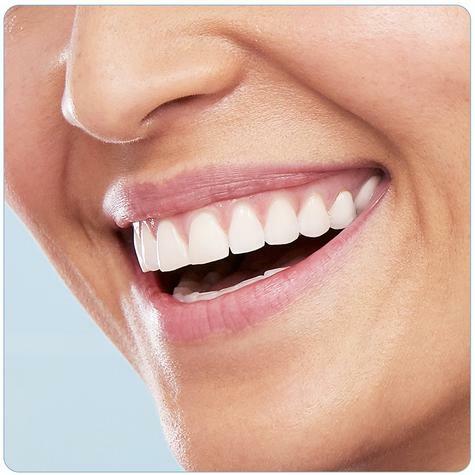 It has a specially designed polishing cup to help remove surface stains while bristles clean away plaque, and is ideal for advanced cleaning and whitening. 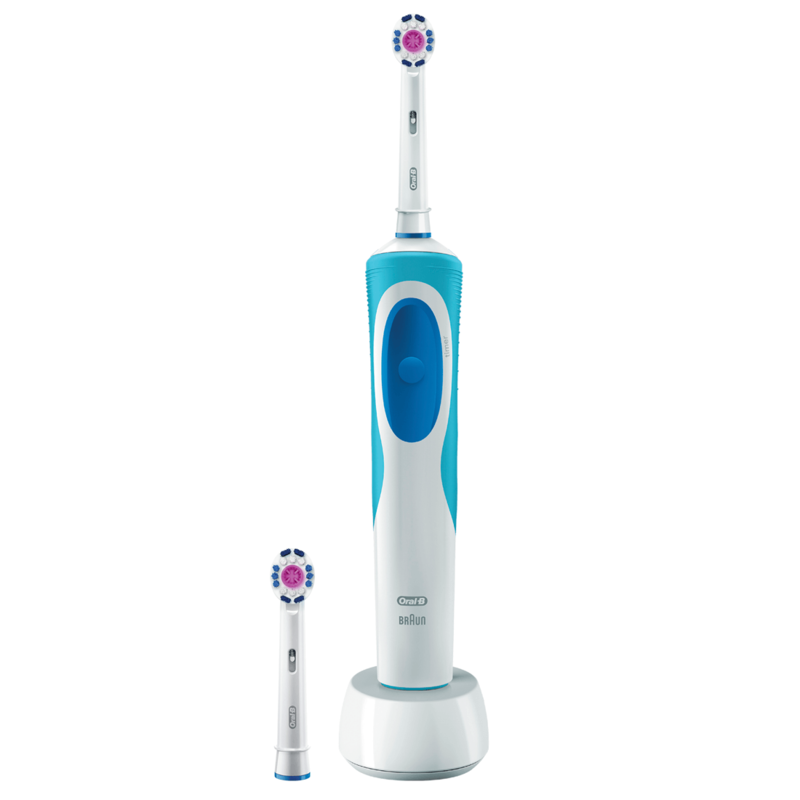 An in-handle timer helps you brush for a dentist-recommended 2 minutes. 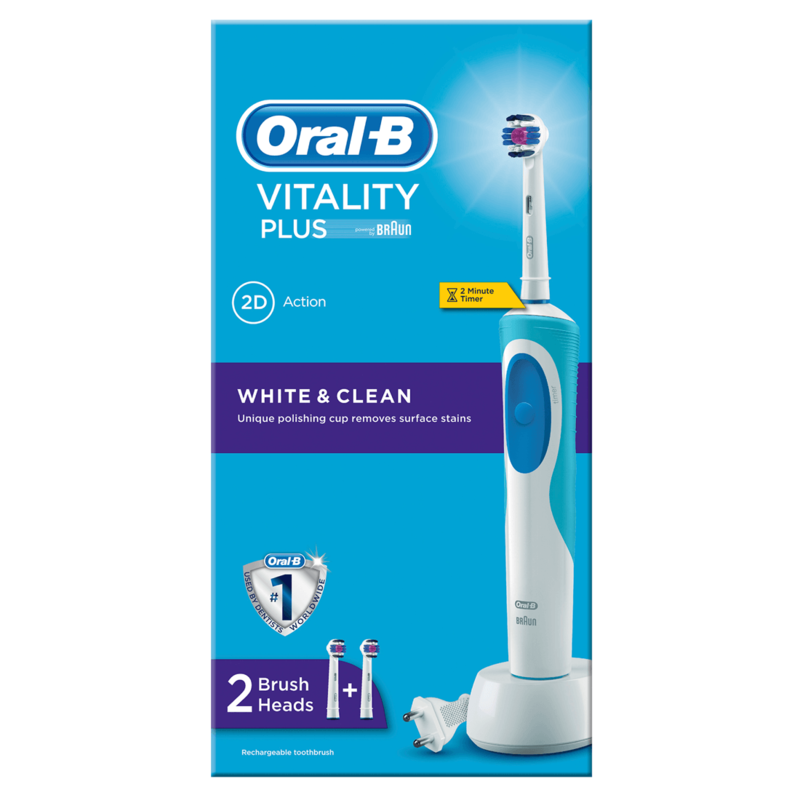 This pack includes 2 3DWhite toothbrush heads. This toothbrush comes with a Uk 2-pin plug. 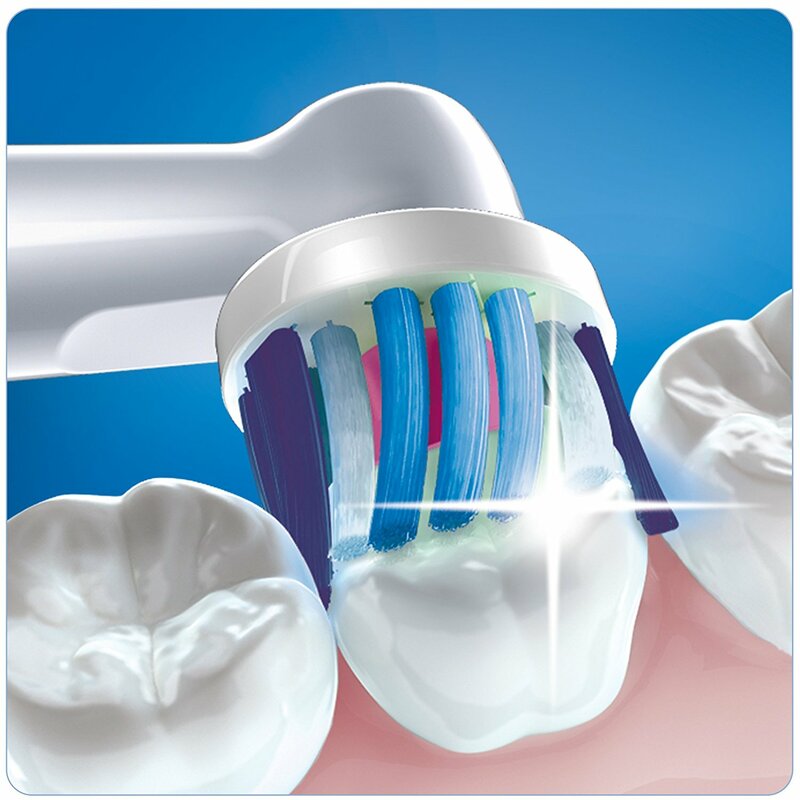 Daily clean - comprehensive everyday cleaning.